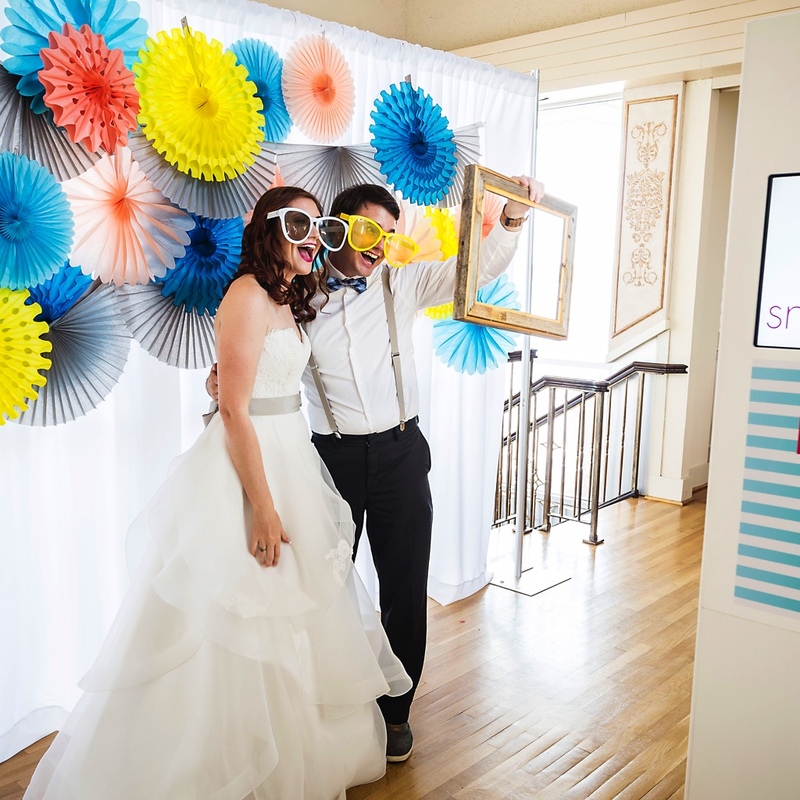 Our Snapqube photobooths have features that you won’t find anywhere else: a solid-state hard drive and a 19″ touch screen will give you a fun, interactive experience. 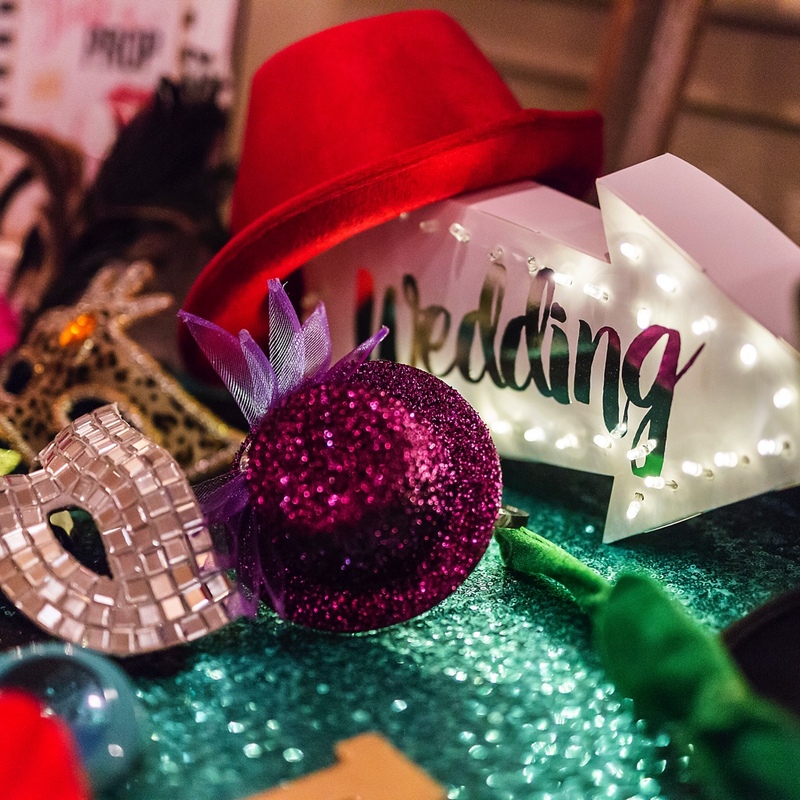 Whether you love props or just want to make your own silly faces, or fit as many people into the booth as possible, our unique design gives more space than most traditional photo booths. Our sophisticated camera comes complete with flash, and our high-end printer gives you photos that won’t fade! 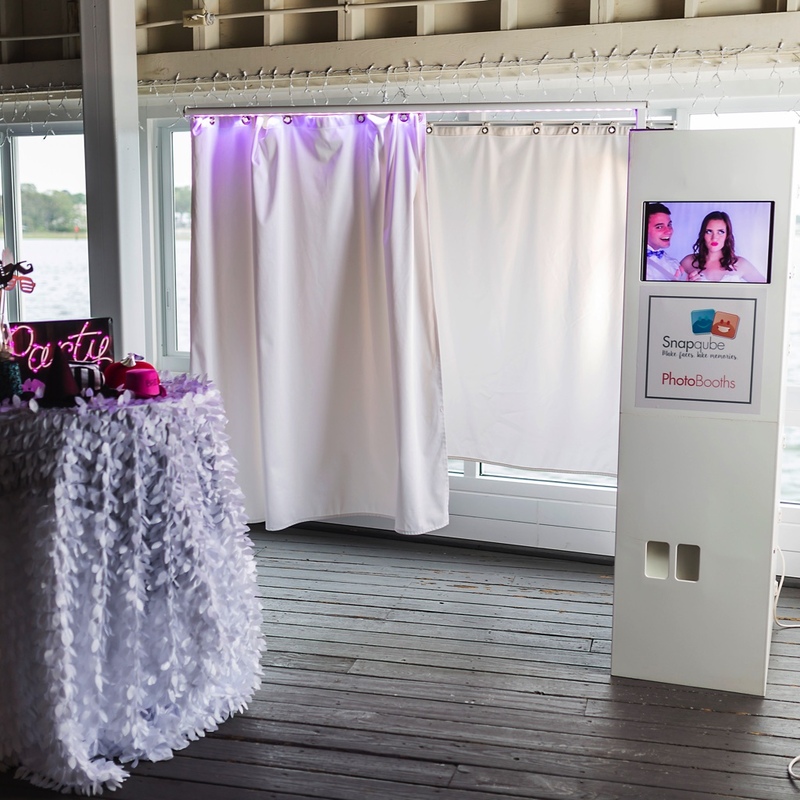 Outside of our booths, there’s a monitor that gives you the option of seeing what’s going on inside, and can rotate the photos of your guests. Not only that – when you work with us, you get a fantastic team that will make sure your guests have an amazing time. 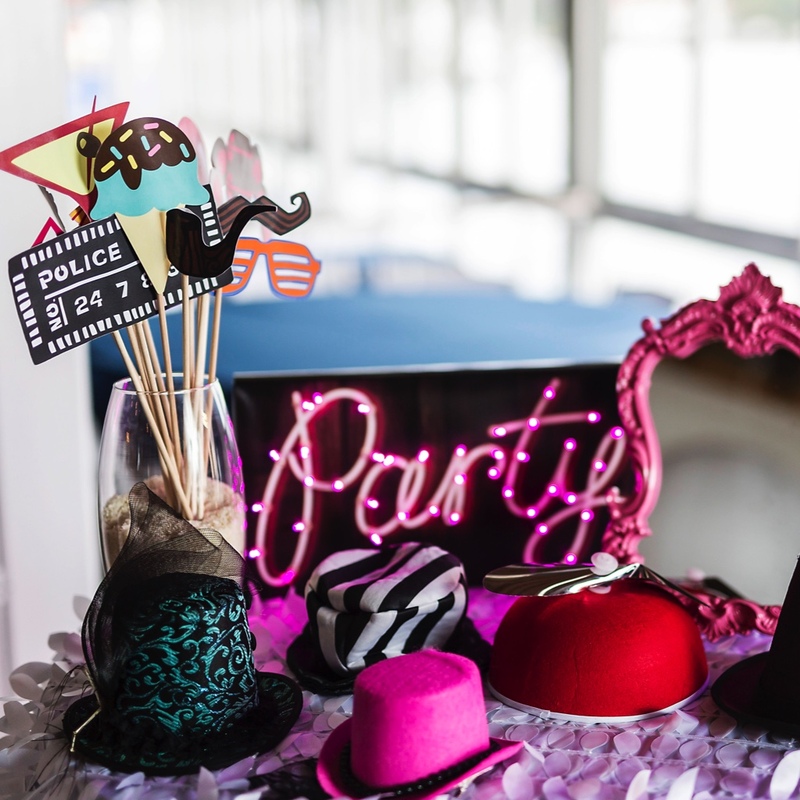 Our newest addition to our fleet of booths is our fantastic open-air concept that will allow you to customize your backdrop to suit your event. If you love gold sequins, or want a clean, crisp white backdrop, or want to customize it with fun fans like you see here – our open-air option is for you! Our only request is to have a 16 x 16 space available to make it happen. An external monitor…what’s going on in there?